Though the DC Extended Universe isn’t in the best position right now, what with the lukewarm reception to both Batman V Superman: Dawn of Justice and Suicide Squad, there’s definitely a lot to look forward to in the near future. For one, the studio’s got two huge releases this year in the form of Wonder Woman and Justice League, both of which could very well get things back on track. Besides that though, they’ve also got a secret weapon that most people seem to be forgetting about: Dwayne “The Rock” Johnson. Yes, for years now the actor has been attached to play Black Adam in the DCEU and though he’s yet to show his face, it’s just a matter of time before Warner Bros. drops the character into one of their films. Often referred to as ‘franchise viagra,’ the actor is one of the most charismatic and enjoyable talents in Hollywood today, which bodes very well for the studio’s burgeoning cinematic universe. Obviously, Johnson alone can’t save the entire DCEU – or maybe he can, actually – but he’ll definitely go a long way in winning back fans who’ve abandoned it in recent times. We still don’t know too much just yet about what he has planned for Black Adam, but it definitely sounds like a sure thing and as the actor told Fandango recently, there’s a “really cool surprise” in store in terms of where we’ll see the character introduced. Could that be a cameo in Justice League? An announcement as the main villain of Man of Steel 2? Both? Neither? Time will tell, but if there’s one thing that’s clear, it’s Johnson’s passion for the project. 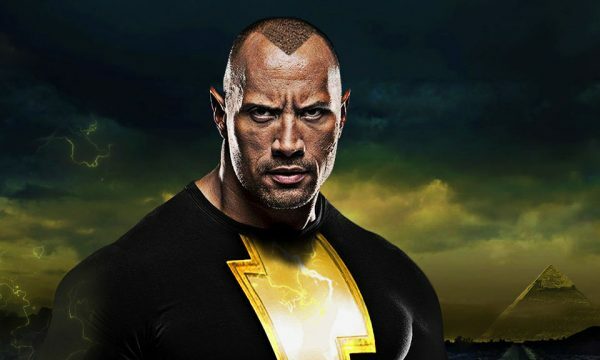 Speaking with us earlier this week to promote his new film Baywatch, the actor opened up about what drew him to Black Adam, saying that the backstory of the character really attracted him. Given that DC currently has their hands quite full with a jam-packed slate, we don’t expect to hear much more about their plans for Black Adam for some time. As mentioned above, a cameo in Justice League wouldn’t be entirely out of the question, but beyond that, the focus looks like it’ll remain on the characters who’ve already been introduced, and that makes perfect sense. Still, it’s exciting to know the the studio has an actor like Dwayne Johnson on board and we’re looking forward to seeing what he ends up bringing to the franchise. Will he able to single-handedly save it from collapsing should the next few outings fail? Probably not, but if one thing’s for certain, it’s that it can never hurt to have The Rock on your team.